Tipp City sees more than its fair share of inclement winter weather. Every year, our area receives an average of more than 19.8 inches of snow. Some dog owners wonder how they can keep their dogs fit, happy, and active when the snow begins falling outside. Tipp City Veterinary Hospital has several fun ideas for pet parents who want to exercise their furry pals during icy winter months. Cats have specific and complex nutritional requirements which are best met by complete and balanced commercial cat foods. ‘Complete and balanced’ means the food meets the standards published by the Feline Nutrition Expert Committee of the AAFCO- the Association of American Feed Control Officials. Through feeding trials or an analysis of ingredients, the certification ‘complete and balanced’ by the AAFCO on the cat food label means the food will give essential nutrition which meets the needs of the cat at the developmental level on the label — kitten, adult, or senior. If you’re like many dog owners, then it’s likely your furry friend is part of the family. You do everything in your power to keep them happy and healthy. 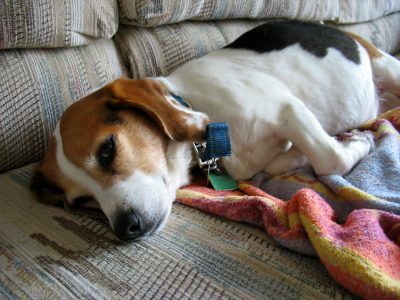 However, many people don’t want to think about the possibility of their dog getting cancer; they are then not aware of the cancer signs they can look out for indicating their dog may be sick. While cancer is not a fun subject to talk about, the risk that your dog will get cancer will drastically increase as they age. In fact, it is believed as many as 50% of dogs over the age of 10 will develop cancer.